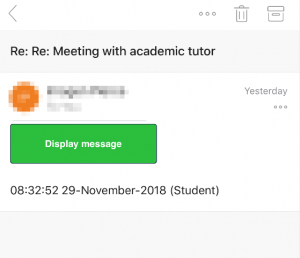 We are receiving reports from students and staff about a new spam email arriving in University Inboxes. This spam email is quite sophisticated in that it is uses the title of a genuine email that you have replied to previously in order to trick you into believing it is authentic. If you open the email you will see a mostly blank email with an information notification at the top of the email saying, “If there are problems with how this message is displayed, click here to view in a web browser” or something similar. If you click this link it will take you to a BBC website but in the process collects your private user credentials. It then uses these credentials to send out more harmful emails from your account. On mobile devices the email sometimes appears with a green button saying ‘Display Message’. 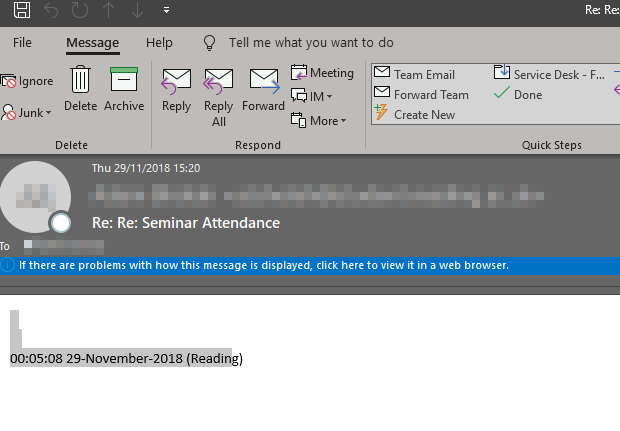 Do not open this email as it could damage your work and computer and may make your private details vulnerable. 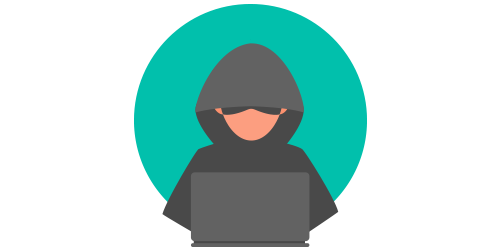 For tips on keeping yourself and your information safe online, visit the IT web page on PC Security.